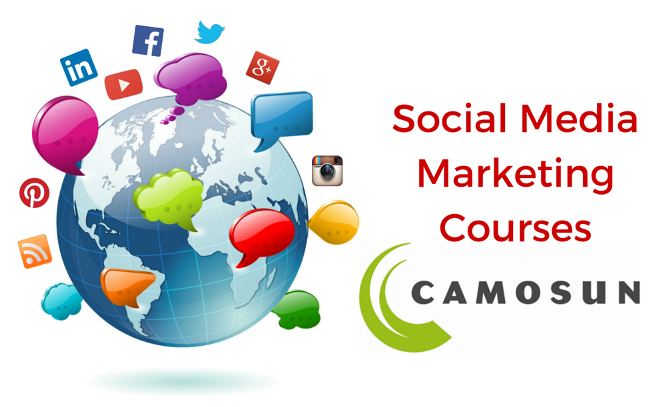 Taking a social media marketing course can reduce your overwhelm & save you tons of time! 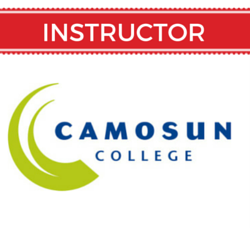 I have been teaching social media courses for continuing education at Camosun College in Victoria, BC for the past five years. These courses are perfect if you’re brand new to social media marketing for business and want to have a better understanding of how it all works. They could also be a fit, if you have been using social media for your business, but you’re feeling a bit lost, and not getting results. Social media can be a HUGE waste of time if you are not organized, and you spend time on the wrong things. 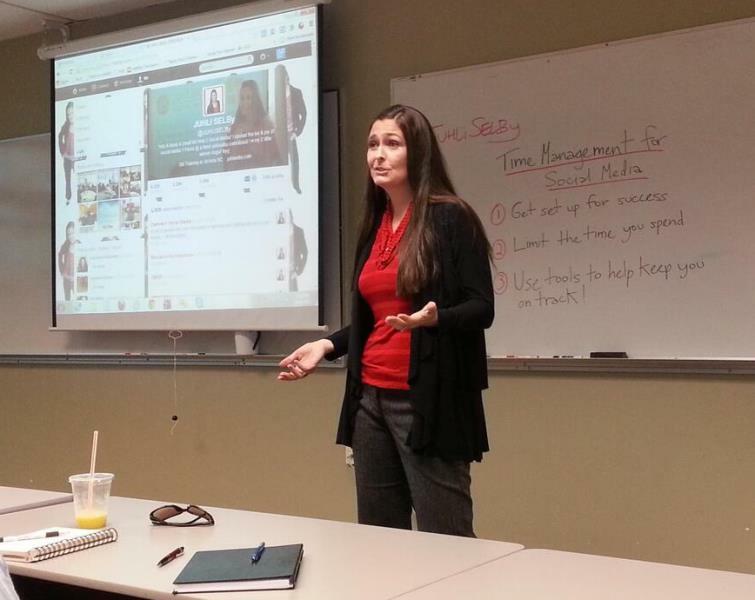 When you’re learning how to use social media for business, it can be extremely overwhelming. Taking a course can help streamline your learning, help you overcome the fear, and arm you with information and tools that you can use to BE STRATEGIC and SAVE TIME! Even if you don’t intend to do your own social media, you should be informed about how it all works, how much time it takes (& how to be effective with your time), and how to work with your support team to do it well! That will make it much easier to find, communicate and collaborate with your future Social Media Manager or Social Media Assistant. 2 EVENING COURSE ~ SOCIAL MEDIA FOR NEWBIES: January 22nd & 29th, 2019 – 6:00pm – 9:00pm – Tuesday evenings at Lansdowne Campus, Ewing Bldg, Room 102. COURSE DESCRIPTION: Are you ready to get started with social? Explore the basics of Facebook, Instagram and Twitter. We will cover why people use each of these popular channels, how to set up your accounts and important basics to get started such as privacy settings, best practices and tips for efficiency. Learning how to use social channels from the consumer perspective is the first step to understanding how to successfully leverage them for business. This course was added as a beginner course to take before our ‘Social Media Marketing’ course, so expect some discussion of business use. PREREQUISITE: Designed for confident, intermediate computer users. 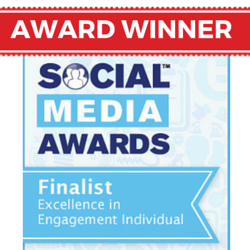 No social media experience necessary. You will need to be able to access your web-based email, or have access to your email on a smart phone (for setting up and confirming social media accounts). If you already have a Facebook, Instagram or Twitter account set up – you will need to please bring your usernames & passwords. If you would like to fully participate in the Instagram training – you will need a smart phone or tablet (can not access all Instagram functions on a desktop computer). EVENING COURSE – 6 EVENINGS ~ SOCIAL MEDIA MARKETING FOR BUSINESS: February 12th – March 19th, 2019 for six weeks – Tuesday evenings 6:00pm – 9:00pm at the Lansdowne Campus, Ewing Bldg, Room 102. COURSE DESCRIPTION: Explore popular social media channels used for business including Facebook, Instagram, Twitter, LinkedIn, Google My Business, YouTube, Pinterest and Snapchat. Take a strategic approach and to determine which channels fit your audience and goals. We’ll start with a big picture overview of successful online marketing and how social media, content creation/curation, search engine optimization (SEO) and advertising are essential to this mix. As we cover each social channel we will share best practices for growing your audience and building relationships, what & how often to share, how to evaluate your results, and tips for time management. We will also cover how to use Canva.com – a handy, free online graphic design tool. A great course for business owners, marketers, managers to find out how social media is changing the way the businesses communicate with customers. PREREQUISITE: Designed for confident, intermediate computer users. If you are new to social media – for example you don’t have a Facebook account yet – please consider taking our Social Media for Newbies Course first (more info above). ONE DAY COURSE: Wednesday, March 27th, 2019 – 9:00am – 4:00pm at the Lansdowne Campus, Ewing Bldg, Room 102. COURSE DESCRIPTION: With over a billion active users, Instagram is hot and growing quickly! 40% of the online Canadian population are on Instagram and it’s the second most popular social channel used for business in the US and Canada. Learn strategic considerations for this platform, what and how often to share, how to find your audience, rookie mistakes to avoid, effective use of hashtags and location tagging, how (& why) to use Instagram Stories and tips and apps to take your account to the next level. PREREQUISITE: You are required to have an Instagram account installed on your smartphone or tablet (before class begins). If you are brand new to Instagram and want to learn some basics first, please consider taking our ‘Social Media for Newbies’ course in January 2019. ONE DAY COURSE: Please let me know if you are interested to see this on the schedule and I will share your feedback with the Camosun College Continuing Education Program Manager. COURSE DESCRIPTION: Learn to leverage the Facebook platform for professional networking and business promotion. Learn how to tweak your Facebook business page for success; grow your fan base; understand the news feed algorithm; post tactics to maximize organic (free) reach; interpret your page statistics, and more. Facebook advertising strategy includes effective use of ad manager to target your audience. PREREQUISITE: Designed for intermediate Facebook users. You must have both a personal and business Facebook profile set up before the course. COURSE DESCRIPTION: With the right strategy, LinkedIn’s global network enables you to stay top of mind with your professional connections, and evolve your network. Proactive strategy helps you build credibility before you need it. Learn the LinkedIn skills and tactics to reach your goals including: promoting your business (leads & sales); career search; educational opportunities, mentorship opportunities and more. We’ll cover how to tweak your profile; tactics to highlight your experience and credibility; connect authentically with the right content; use groups effectively, and rookie mistakes to avoid. PREREQUISITE: Designed for intermediate LinkedIn users. You must have a LinkedIn account set up before the course. @JUHLiSELBy Thanks for the social media course Juhli! I learned so much and am applying all the skills you taught with great success!! @CamoSMM @JUHLiSELBy @Camosun Camosun’s Social Media meetup was awesome, as always! Great job, Juhli! For questions about social media marketing workshops & courses please click here to contact JUHLi SELBy. I do a variety of social media talks in Victoria, BC throughout the year. Please follow me on social media to find out about other events: www.facebook.com/JUHLiSELBySocialMedia I will also be offering FREE online training webinars in 2019! LinkedIn is the respected professional social network – even those who “don’t do social media” use LinkedIn. It’s a great way to stay in touch with, and on the radar of your professional connections. Every professional, business owner, job searcher, employer & student should consider having a profile or company page. If you’re new to LinkedIn, or have a profile that you never use – this is the right workshop for you! You’ll leave this workshop feeling confident about how to set up your profile to put your best professional foot forward and impress your connections. You’ll know how to decide who to connect with, how to use best practices for etiquette on LinkedIn, and how to build credibility and relationships that will grow your professional network and connect you with opportunity. No new dates currently scheduled – please let us know if you’re interested in this workshop! ♦ What do you WRITE about in your blog? ♦ What should you SHARE on your social media channels? ♦ WHAT KIND of CONTENT will resonate with your audience? ♦ How can you use your content to DRIVE TRAFFIC to your website? ♦ How, when and where should you PROMOTE your content? 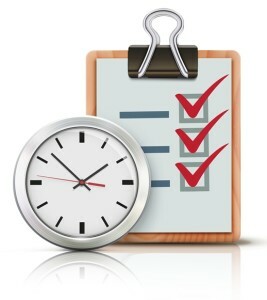 ♦ When will you FIND the TIME to create your content??!! In this comprehensive workshop, social media expert JUHLi will help you understand why a content strategy is vital to managing your marketing, and help you establish the key components of your long-term plan. You will be provided with structure to help brainstorm what type of content will best attract and serve your ideal audience, and you will leave with the information & tools you need to create a 12-month content plan (A.K.A. Editorial Calendar). When you have a plan you won’t waste time on “What should I create that would be interesting to my audience?” You can dive right into creating content to serve the audience you love. It IS POSSIBLE to feel ORGANIZED, INSPIRED and EMPOWERED to create the content that will connect you to your audience, bolster your credibility and position you as an expert in your field. This workshop will be hosted by the Westshore Women’s Business Network (WWBN). 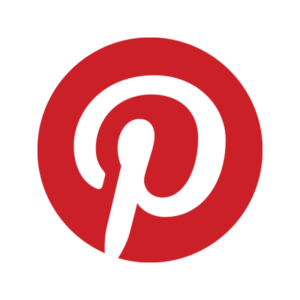 Pinterest is one of the fastest growing new social networks! It has been described as “digital scrapbooking for ladies” (70% female users), and also “like Facebook – without the drama & bad grammar”. Your “newsfeed” on Pinterest is filled with beautiful images. It’s a great fit for anyone in businesses related to fashion, food, home décor, weddings, photography, travel, fitness, animals & so much more! Any business looking to reach a female audience between the ages of 18-49, and has the possibility for great visuals, can be a wonderful fit for this platform. There are also creative ways to use Pinterest even if you don’t have a naturally “visual” business. Another benefit of this channel – once you get set up – the amount of time required for maintenance can be reasonable. This starter session will explain how Pinterest works and how to use it to drive female shoppers to your website! You can use Pinterest from a smart device or from your home computer. Would you prefer private one-on-one training? Please click the button below for more info.